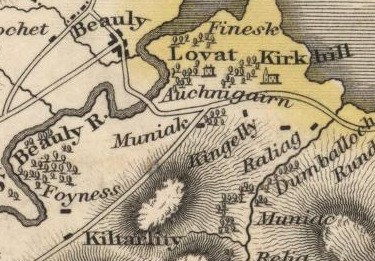 In 1803 Thomas (Tom) Fraser of Kingillie (Kingelly on the map of 1832 below) was working at plantation Paradise, which belonged to his cousins, the Belladrum Frasers - Thomas's mother was Christian Fraser of Belladrum. Edward Fraser of Reelig, in a letter to his mother, commented that he heard Tom Fraser 'not very well spoken off'. By 1807 he was in poor health, talked of going home and was seeking a position with a company in Glasgow. However, in 1812 he was still in the colony and subscribed his name to an address to the veteran colonist Thomas Cuming.